Are you a fan of the Rubik's Cube? Well then, Google has celebrated the 40th birthday of the Rubik's Cube with an animated doodle that allows you to try to solves the puzzle online. 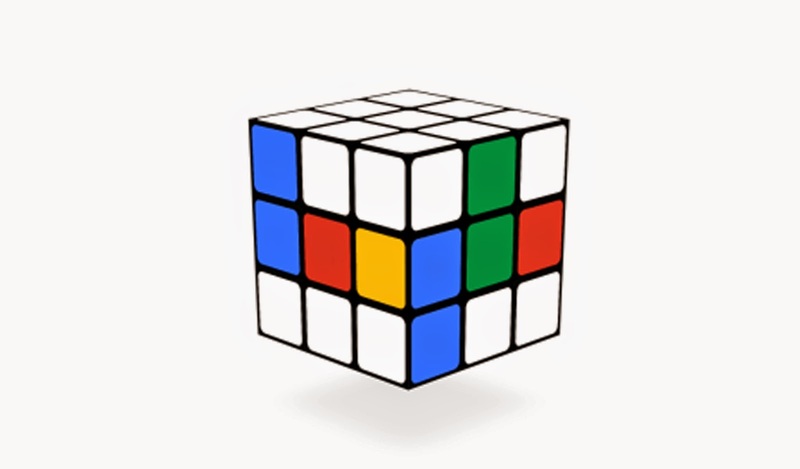 In the Google animation, the cube is at first shown performing a simple loop, with a basic version of the company's logo showing up in coloured squares on a white cube. When you click on it, however, the cube enlarges and becomes fully coloured, and allows the user to rotate the rows and columns horizontally and vertically, and manipulate the cube as a whole, thus playing it properly. There is even a number in the bottom left corner, showing you how many moves you have taken. Remember - however mixed up it is to start with, it is logically solvable in just 20 moves!